The Dubai International Financial Centre has posted its performance figures for 2016, with a 10% increase in the number of new financial firms setting up outposts in the region. 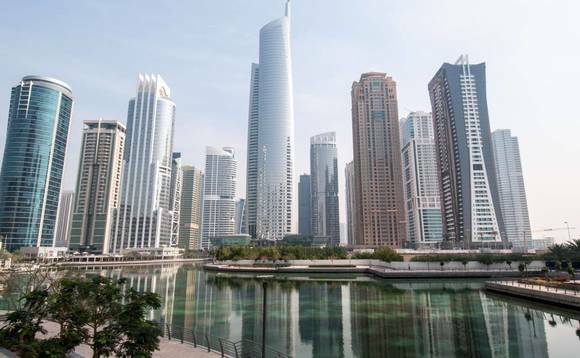 The DIFC, which claims to be the main financial hub in the US$7.4trn Middle East, Africa and South Asia (MEASA) region, reached 1,648 active registered entities compared to 1,445 this time last year, representing a net increase of 14%. This included 447 financial services firms, up 10% from the 408 recorded in December 2015, the financial centre said in a statement announcing its figures earlier today. The DIFC now totals a workforce of 21,611 professionals, a 9% increase from 2015. DIFC’s financial services firms represent a cross section of all major geographies, with 35% originating from the Middle East, 17% from Europe, 16% from the United Kingdom, 11% from Asia, 11% from the United States, and 10% from other countries. Essa Kazim, governor of DIFC and chairman of DIFC Authority Board of Directors, pointed to fintech companies and emerging markets as growth areas to look out for in 2017. “The year 2016 was marked by significant global shifts, which brought challenges but also opportunities. Our strong financial results show that DIFC is resilient, while at the same time a number of ‘firsts’ achieved in the centre,” he said. One of the main highlights for DIFC in 2016 was the transfer of the HSBC Bank Middle East Limited head office from Jersey to the DIFC. In the asset and wealth Management space, DIFC added the Bank of Singapore and Pictet as new clients. In the Bank and Capital Markets sector, DIFC welcomed a number of new firms to set up operations, including the Bank of Palestine, Ahli United Bank Limited, a 100% subsidiary of Ahli United Bank, which was the first bank in the GCC region to receive the Category 1 license from the DFSA, and Zenith Bank, one of Nigeria’s commercial banks. In addition, the Agricultural Bank of China was selected as the very first RMB clearing centre for the region. The insurance sector in the DIFC has also grown with new clients including HDFC Life which is the first Indian insurance firm to join the centre, and Starr Underwriting Agents. In addition, Jardin Lloyd Thompson expanded its operations to better service HNWIs. In the last year, delegations from DIFC made multiple visits to China, Europe, the UK, India, Africa, the United States of America and countries in the Middle East. Overall, the DIFC participated in 122 events and received 32 international delegations at the centre, it said. Arif Amiri, chief executive, DIFC Authority, said: “We have concluded 2016 with a strong performance, and remain on track with our 2024 targets. Looking ahead to 2017, we will continue to embrace and harness change and innovate for growth, which will be fuelled by our FinTech initiatives, new infrastructure development and a sustained focus on the South-South corridor.